Reception: January 19, 2018, 6-8 p.m. 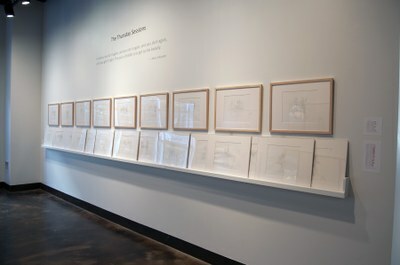 The Hite Art Institute will host a two-part exhibition featuring and celebrating the work of distinguished drawing professor James Grubola. 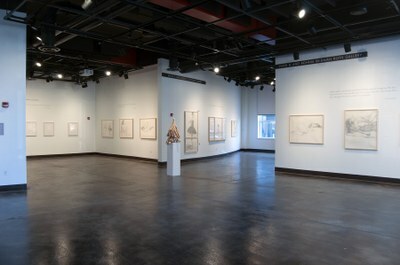 The Cressman Center will feature new drawings completed over the last four years by Grubola which mark his return to the figure as his primary subject matter. 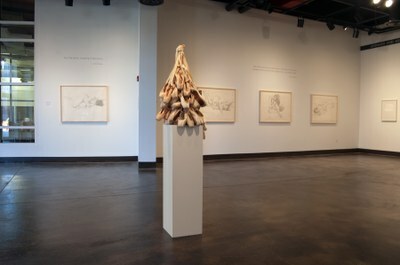 Although Grubola has drawn from life on and off for all of his artistic career, administrative duties - he served as Chair of the Department of Fine Arts for 17 years, and other distractions, interrupted his drawing sessions with a model. However, after stepping down as chair, he resumed these Friday model sessions with the resulting series of graphite and silverpoint figure drawings forming the core of this exhibition of new work. Grubola has also spent many years working from moving bodies - specifically dancers. As part of his renewed focus on the figure, he also returned to drawing once a week in company class at the Louisville Ballet. 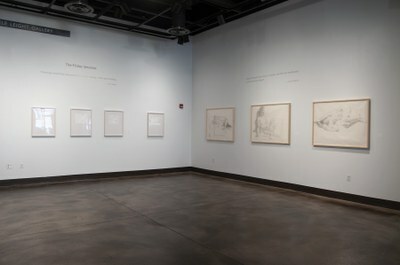 These encounters form his second new body of work featured in this exhibition, "The Thursday Sessions".